These are times of what feels like unprecedented political, economic and social chaos. We are told we are very divided as a nation. In many ways we surely are: along the relatively new political lines of leave and remain; but less obviously we are divided in terms of wealth and poverty, faith and no faith, connected and unconnected, young and old. We experience these divisions in our community, in our families and places of work/study. Difference is good, division can feel more dangerous and hostility and conflict can follow. And so what can we do about this as Christians? I believe this is a time for us to make sure we really do let people see the ways of Jesus in how we live and what we say. So, now is a time when it is good to keep worshipping together, inviting others to do so, taking all opportunities to talk about the Prince of Peace in the midst of all this disturbance. I believe this is a time for us to do all the practical things we can to be welcoming in such a hostile environment: things like ESOL or Place of Welcome and Foodbank or Job Club or Super Study Space. And it is timely that we are becoming a church recognised as a Church of Sanctuary. It was important also that some people from our church joined other Church leaders and community leaders in standing side by side with the people at the Slade Road Ghausia Mosque in order to show our support in the face of attacks on their building. Sometimes the way the world is can feel so overwhelming and we can feel like there is nothing we can do. But there are things we can do – even small things! We need to keep on doing what we know we already know we should be doing. But even more so, I believe it is the time for us to “up our game”, to be more proactive in letting the Christ-light shine in our words and our actions. Our country needs us! I believe that Brexit, because of the reasons people voted as they did and the issues that our leaders are grappling with, is a moral issue. It affects how we live alongside our neighbours. How we approach it reflects our values. 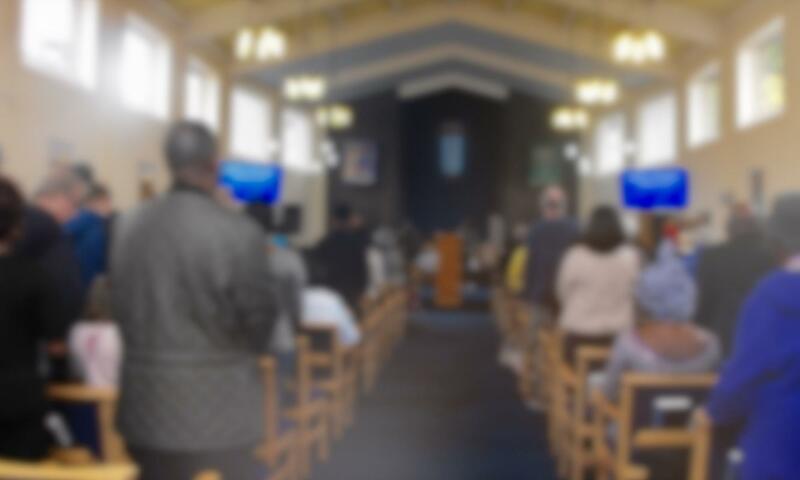 I am struggling to see how retreating from closer relationships with sisters and brothers from continental Europe is in keeping with the overriding Gospel message of love and coming together and I am alarmed that Brexit has released more hatred and disunity and how all of this impacts our diverse church and community. I am troubled that most balanced views I hear/read are stating that whatever way we leave the EU, our economy will be adversely affected. This also impacts on us as individuals, our community, the level of need that we feel called to respond to. Our God, who is bigger than Brexit, can help us to get out of the mess! We need to pray for wisdom for all who hold political power in this process. We need to pray that God will help us to restore and rebuild what is broken and to be people who actively show love and seek to build good relationships here in Erdington. We need to pray that whatever happens, good will come. Again and again throughout the Bible we see God rebuilding, restoring, reshaping in spite of the mess that people have created. God will do this again, but He needs us to be active partners in this work. Abel. What can we learn from his life and death? We have little detail about Abel. He is the second son of Adam and Eve. He is a shepherd and he is murdered by his older brother, Cain. His significance? He is the first person to die. In Matthew 23: 35 Jesus refers to him as righteous and this is amplified in Hebrews 11:4. Before, as some have, we get too carried away with likening Abel to Jesus, we should note the reminder of the much “better” thing we have in Jesus (Hebrews 12: 24). As we think of Abel, the first person to be mourned. Give thought and prayer for all who have been and are experiencing bereavement. Jesus says “Blessed are those who mourn” – how can we add to this blessing? I have been thinking about the word “Open “; that this year a spirit of openness would guide and inspire us. Open to God’s Spirit working within us and through us: shaping us to be a community of believers as close to the first Jerusalem church as we dare to be. open-hearted and with open arms to develop all the more our welcoming outlook. to be willing to adapt and change, to respond with love and compassion when the situation demands. So, are we open to these possibilities for 2019? This Christmas, in spite of grim things happening around us and for many, in our own lives. In spite of the struggle that life can be. In spite of the confusion and uncertainty of Brexit and the ever-deepening dangers of climate change. In spite of our experiences of loss and pain, of illness and sadness… I hope that we can experience at the very very least, something of the joy that Christmas brings. Isaac Watts, in his great hymn, proclaims “Joy to the world” because our King has come, so we should make room in our hearts. “Let every heart prepare Him room”. We need joy in our lives: it is a fruit of the Holy Spirit. Joy makes life bearable; actually it makes life enjoyable! The angels announced good news that would bring joy to all people (Luke 2:10). Jesus is this good news and I hope that in the midst of all that we do and all that happens to us, we are able to experience something of the joy that having Jesus in our lives can bring. And Christmas is a very good place for us to start opening up to this “Joy to the world”.